Maybe you think you know Jesus pretty well — the Son of God who is kind, gentle, and loving. 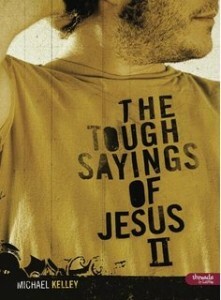 But dig deeper in Scripture, and you’ll discover some things Jesus said that are … well, hard to swallow. Those passages often leave us, His modern-day followers, with more questions than answers. er in Mark 10, the Canaanite woman in Matthew 15, the unforgivable sin in Matthew 12, and a contradiction about who Jesus is in Matthew 10 and Luke 12), you can develop a level of intimacy with your group that encourages everyone to continue asking questions long after this study is complete. And hopefully, you’ll discover that questions and doubts are OK — and can usually help to deepen and strengthen your faith. 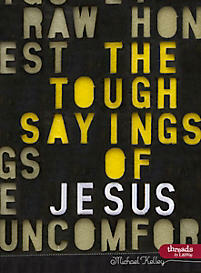 The Tough Sayings of Jesus Volume II contains four more difficult to digest passages that threaten to blow apart the comfortable vision of the Son of God that many have created. Whether cursing a fig tree, commending a dishonest manager, leaving a friend to die, or demanding an unreasonable amount of good conduct, Jesus refuses to be put into a box.